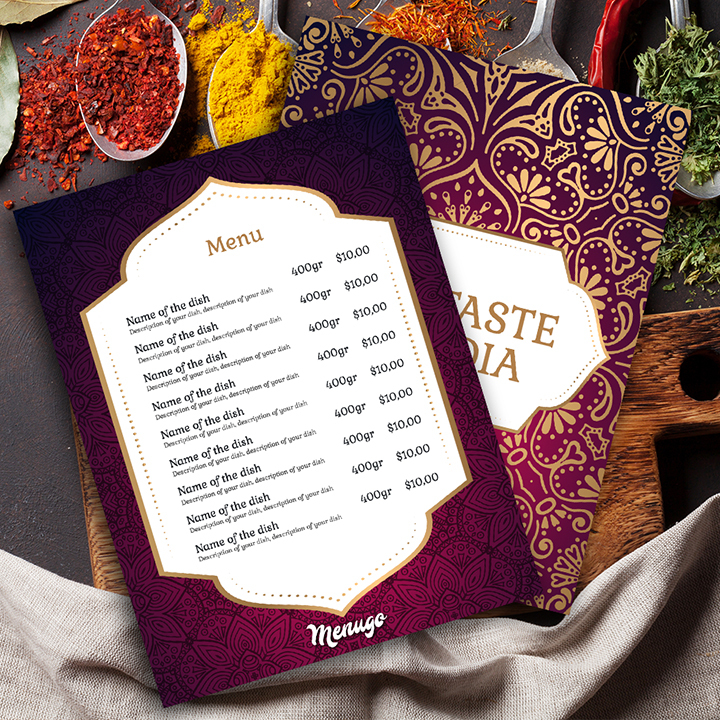 Gorgeous menu designed for your Indian restaurant. This Taj Mahal inspired menu is also stylish, bright and magnificent! Everything you need to compliment the delicious and rich cuisine of this beautiful country!